Home / JOB VACANCY / JOB VACANCIES AT DODOMA CHRISTIAN MEDICAL CENTER (DCMC) CHECK OUT YOUR POSITION HERE. 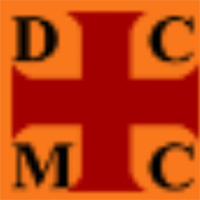 JOB VACANCIES AT DODOMA CHRISTIAN MEDICAL CENTER (DCMC) CHECK OUT YOUR POSITION HERE. The Incumbent will carry out non-medical duties such as moving and transporting patients, stocking supplies, and keeping wards tidy. S/he will perform routine support and clinical tasks to keep the offices of physicians and other health practitioners running smoothly. Transport diagnostic images, patient files and pharmacy items between wards and departments. The incumbent will be responsible for provision holistic ophthalmic nursing services to both inpatient and out patients within the hospital. Holder of Bachelor degree or equivalent in Nursing from accredited and recognized Nursing institution. At least five (5) years working experience in a busy eye hospital/ Clinic setup. The nurse shall work in the eye ward/eye clinic as assigned and shall therefore work as both supervisor and team leader to the ophthalmic assistant/s and auxiliary staff. Prepare for and assist the Senior Ophthalmologist during the ward rounds and whenever required. Ensure that all required observations, prescribed treatment and procedures are properly carried out and documented on patient’s charts/ files. Arrange and submit weekly ward work schedules and plan daily duties and responsibilities for each staff under their supervision. Convene eye ward meetings and attend monthly hospital meetings. Maintain equipment in good working condition and submit regular inventory reports of the same. Maintain drug registers and oversee drug consumption within the ward and clinic. Ensure that all admissions, discharges, transfers and deaths are properly documented as they occur. Report any significant changes in operations to the senior ophthalmologist. Maintain nursing supplies inventory by studying usage reports; identifying trends; anticipating needed supplies; approving requisitions and cost allocations. The incumbent will be responsible for caring and educating the patients and their family members about early recovery and ways of prevention of diseases. S/he will assess patients’ health problems and needs, develop and execute nursing care plans, and uphold medical records. To give counseling and health education to the patients and their attendants. To diagnose the disease by analyzing patient’s symptoms and taking required actions for his/her recovery. To maintain reports of patients’ medical histories, and monitoring changes in their condition. To carry out the requisite treatments and medications. To adhere with the protocols, norms, rules and regulations in order to maintain complete medical records. To maintain hygienic and safe working environment in compliance with the healthcare procedures. To provide instant care during medical emergencies, like car accidents, burns, heart attacks and strokes. To provide necessary guidance on health maintenance and disease prevention. To prepare rooms, and decontaminate equipment and instruments. To assist doctors during surgery. To take care of newly born babies, treat the complications as prescribed and educate mothers and families. Holder of Ordinary Diploma in related field from recognized in. To prepare statutory payment schedule for hospital properties and annual fees. Implement and exercise delegated authorities and any other instructions and directives as may be issued by Executive Management from time to time. To plan, coordinate and supervise all Community Health Projects/Programs. To coordinate and carry out epidemiological studies and identify the prevalent health problems in the community and ways to control them. To ensure availability of accurate, up to date, complete, comprehensive and timely information on epidemiological and demographic indicators – collected, collated, analyzed and interpreted at various health system levels. To develop the spirit of team-work in promoting health in all population groups. To organize consultant clinics on endemic diseases in the Teaching Hospitals. To liaise with outside agencies on all matters related to the basic concept of community health. All applications containing letter of application, copies of your academic certificates and a detailed CV with at least three referees, should be through post or e-mail (P O Box 658 Dodoma or E-mail:info@dcmct.or.tz). Closing date and time: Wednesday 17th May 2017 at 16.30 hrs. Position Summary: Under the direction of OPD incharge, the incumbent will be responsible for maintaining record of patient care by compiling, reviewing, and filing documentation of patient's condition, treatment, and health outcome. Maintain medical records operations by following policies and procedures; reporting needed changes. Initiate medical record by searching master patient index; identifying existing patient records or need to assign a new number; interacting with registration areas and physicians' offices for information verification; processing or creating the record folder. Ensure medical record availability by routing records to admissions and emergency departments, physicians, and other authorized hospital staff; maintaining chart location systems. Complete medical record by reviewing information; notifying health care providers of record deficiencies; tracking outstanding records; notifying medical director of physicians in jeopardy of losing admitting privileges. Resolve medical record discrepancies by collecting and analyzing information. Maintain historical reference by abstracting and coding clinical data, such as diseases, operations, procedures, and therapies, using standard classification systems; filing documents. Prepare statistical reports by collecting and summarizing medical care and census information, such as types of diseases treated, surgery performed, and use of hospital beds. Maintain patient confidence and protect hospital operations by keeping information confidential; following release-of-information protocols. Maintain the stability and reputation of the hospital by complying with legal requirements. Keep equipment operational by following manufacturer's instructions and established procedures. Position Summary:Under the direction of Chief Dental Officer, the incumbent will be responsible for all cash and check payments made, including receipts and appropriately posting them to patient accounts receivable and non‑patient accounts receivable. The cashier will also be responsible for preparing the daily bank deposit and submit it to appropriate authorities. Holder of Ordinary Diploma in related field/NABE III/ATEC II/NABOCE. Maintain control of all cash and check receipts. Receive payments at the cashiers’ office and responds to patient concerns relating to balances and billing questions for the Accounts Receivables.